Two schools, Vermont’s Sterling College and the University of Winnipeg tied for #1 in scoring 44.00 out of a possible score of 51.00 in Sierra Magazine’s Cool Schools 2017 ranking in the food category to lead the list of 227 four-year, degree-granting undergraduate colleges and universities in North America which participated. 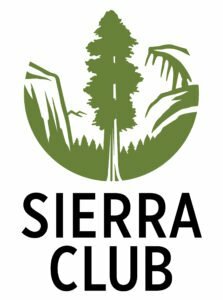 All deserve praise for taking part in the annual survey by the magazine of the Sierra Club of what college students and administrators are doing to promote sustainability on their campuses. Sierra’s “Cool Schools Scoring Key 2017” includes 62 thoughtful and detailed criteria underlying the “scoring basis” and the number of specific points obtainable for each criteria. The possible score of 51 in the food category was based on these criteria: (1) 30 points, food and beverage purchasing policies, with institutions earning 1/3 of available points (10 points) by calculating the percentage of food expenditures that are local and community-based, or are third-party-certified responsible (certified organic, fair trade, etc.) and they also “earn a portion of the remaining 2/3 [20 points] based on that percentage;” (2) 7 points, pre consumer food waste composting; (3) 7 points, post consumer food waste composting; and (4) 7 points, vegan options. Ten points were allocable to organic garden, with institutions earning “all available points for having one or more programs that allow students to gain experience in organic agriculture and sustainable food systems.” However, these points were for a criteria included in the “full ranking” noted below and apparently not explicitly considered in ranking schools in the food category, although there is discretion in the scoring in the “food and beverage purchasing policies” criteria noted above. Perhaps in determining 20 of those allocable 30 points, food sourced at a school café from a farm or garden on campus resulted in some extra points when such discretion was exercised. The “Full Ranking” in determining “America’s Greenest Universities” was based on all the criteria with a potential score of 1000. Some of the criteria with the most potential points were energy consumption in buildings, 50 points; support for clean and renewable energy, 45 points; water consumption, 30 points, and storm water management, 30 points. Sierra also asks schools to detail what, if any, moves they have made to divest their endowments from fossil fuel companies. (Schools that did not complete the fossil fuel divestment question were still eligible to participate.) Institutions earned 10 points for submitting a response on this issue, plus 25 points if the institution had divested from coal-mining corporations, or plus 30 points, if divested from coal-mining corporations and coal dependent utilities, or plus 30 points if divested from coal-mining and tar-sands-mining corporations, or plus 50 points if divested from all fossil fuels. 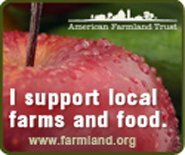 This year’s deadline for submitting information was March 3, 2017, with any information submitted between March 23, 2016 and March 3, 2017 eligible for scoring. All of the colleges and universities that choose to participate in the annual Sierra rankings deserve praise for demonstrating to their students that they care about environmental sustainability and seek to meet the high standards established in Sierra’s detailed and demanding survey. If your school has opted out of participating or has never participated, students, alum and concerned citizens should contact the institution’s sustainability coordinator or public relations office and ask them to participate. Click here to see if your college and university is among the schools participating. This reporter is proud to say that the Sierra cool schools score of his alma mater, Colgate University in Hamilton, NY, in 2017 was 683.27 (an 18 point leap from 2016) and resulted in Colgate’s ranking 15th in Sierra’s full ranking. It is one of the 20 institutions which earned special recognition in Sierra’s top 20 write-ups, which specifies the steps taken by these schools to become models for environmental sustainability. Awesome.